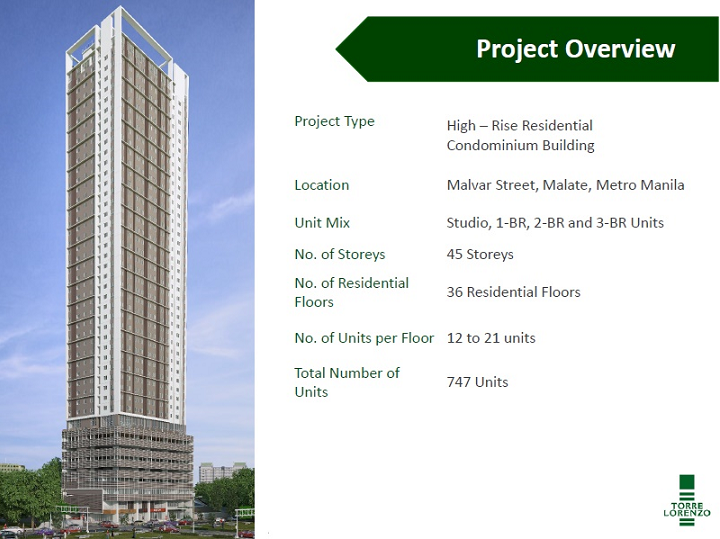 Torre Lorenzo Malate continues to create desirable and relevant amenities for university students in the Malate area. Nestled in Malvar Street, this high-rise residential project is located in close proximity to schools such as UP School of Medicine and St. Paul University; and malls and hospitals, including Robinsons Place, SM Manila, PGH, Manila Doctors, and Medical Center Manila. From the developer known for Premium University Residences , Torre Lorenzo is proud to present their newest line of quality development – the TORRE LORENZO MALATE (LTS# 032384) located right at the heart of Malate, along Malvar St. cor. Vasquez St Malate Manila near to UP Manila. With the envisions to recreate the beauty of Old Manila, its affluence and grandeur. TORRE LORENZO MALATE will stand out as the best development in the area from its modern exterior to its sophisticated interiors which would bring back the glamour and prestige of Old Manila. 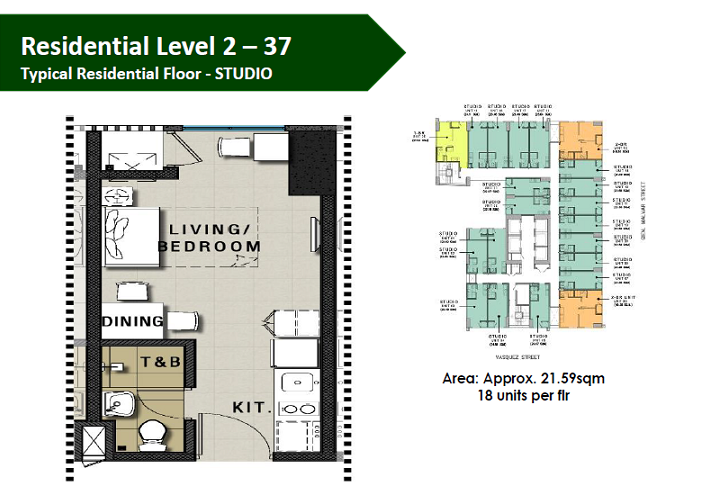 Developer : Torre Lorenzo Development Corp.
TORRE LORENZO MALATE offers studio type, 1 bedroom, 2 bedrooms, and units with loft for a bigger space to accommodate the needs of every client. 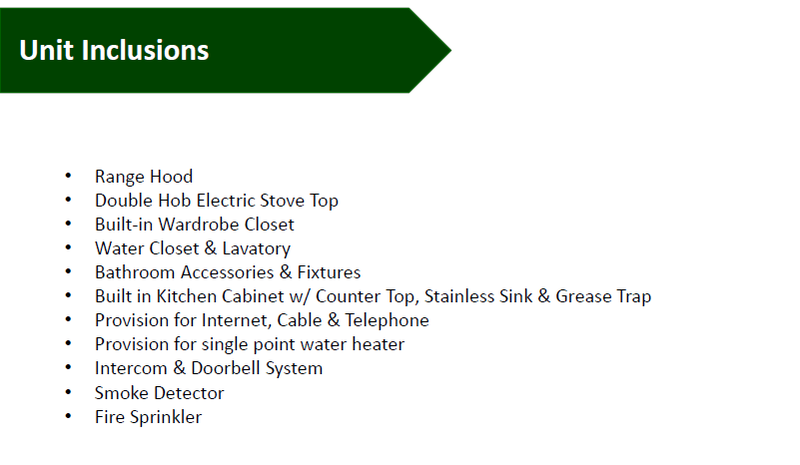 Each Units are delivered in semi-furnished and in premium finishing. Location – it is right at the heart of Manila with an easy access to UP Manila and other University, commercial establishments and other landmarks. 20% Downpayment payablefor 36 months at 0% interest, 80% Balance can be avail thru Bank Financing. Equal monthly installment payable for 36 months at 0% interest. 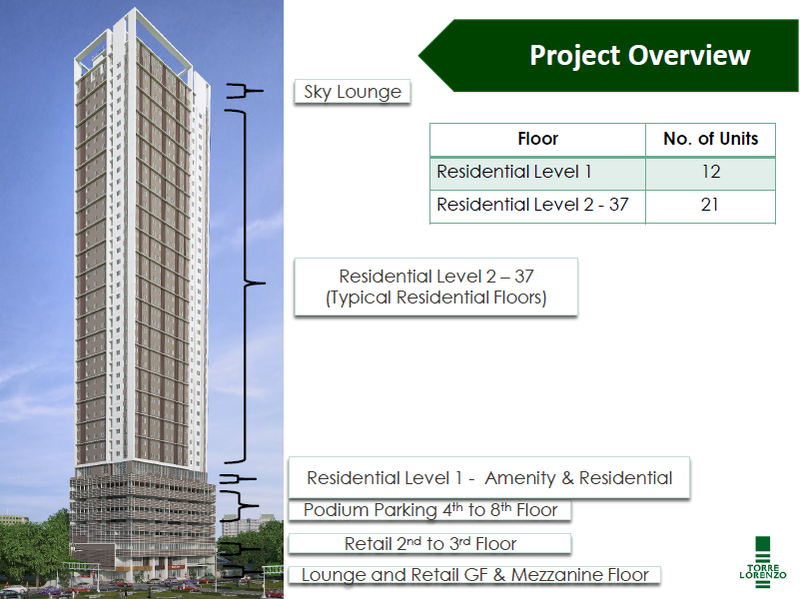 Feel free to feel the convenience and lifestyle you deserve here at Torre Lorenzo Malate.